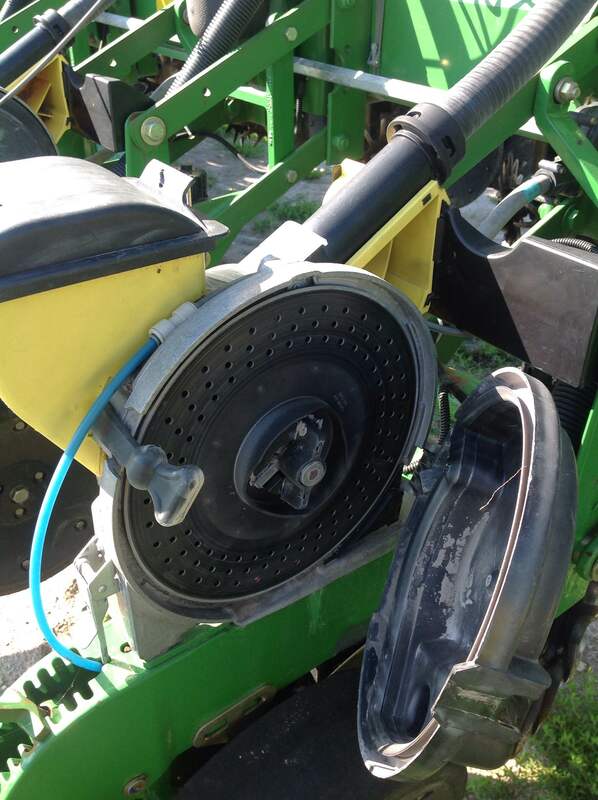 Let our Precision Specialists help you select the correct seed metering and singulation system to maximize planting accuracy and efficiency. Whether you are currently using finger meters, eSets, Vsets, and eDrive or are also implementing the new Speed Tube technology, we can almost always help you improve your planting performance with a few suggestions or an on-site inspection of your planter. The most frustrating thing about current vac disks is that you are always guessing about your vac setting. Too little and you skip. Too much and you double. But your monitor only shows you an average population – so you can’t judge accuracy until your seed emerges. 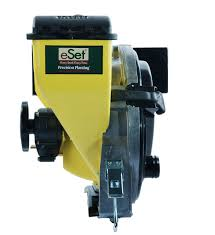 With eSet, you set your vac and you can plant any seed – even plateless – at 98.6% accuracy or better. 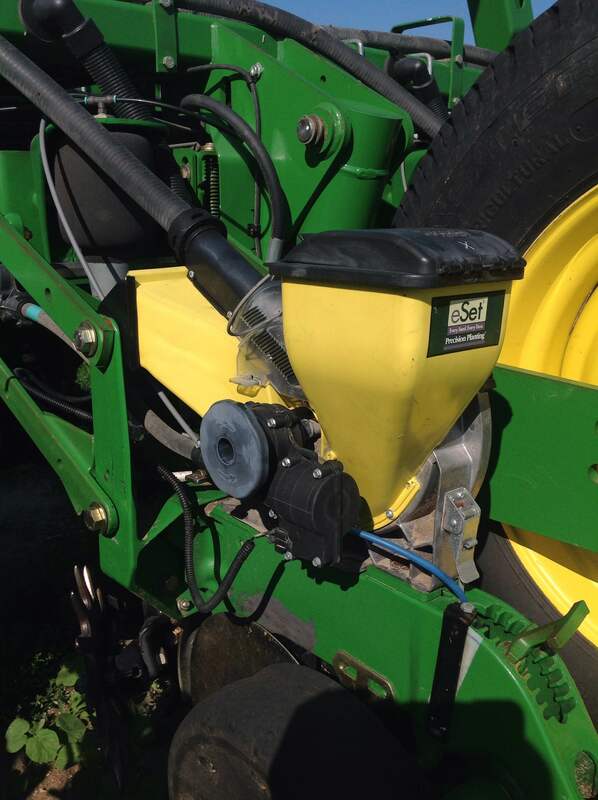 If you seed is over 60# per 80,000 seed bag, use 18”. Size, weight, shape, treatments, humidity . . . doesn’t matter. And unlike early flat disk designs, you don’t adjust this singulator. It is designed to float and self correct so it is always in the right place at the right time. The right release for the right spacing. We’ve learned that a lot of the spacing problems you’ve had with your vac disk comes from poor seed release off the disk. Celled disks force the seed to move horizontally before falling toward the seed tube. That means that vac shut off, static and seed position in the cell can alter the timing of the release. 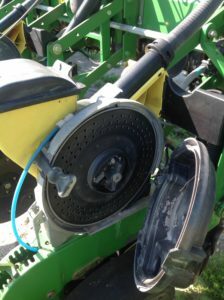 And inconsistent release timing means the seed tube ride is inconsistent . . . which means spacing is inconsistent.